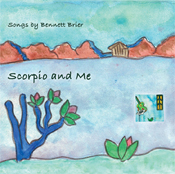 Here are some 60-second clips from my Scorpio & Me CD. If you'd like to purchase the full versions, please visit the Buy Scorpio and Me! page. Thanks for listening! Produced by Jay Sims of Willing Records and mastered by Nick Landis at Terra Nova Digital Audio in Austin, Texas.